Una – Sana Canton is one of the most notorious cantons in Bosnia, where illegal killings of stray dogs frequently occur. On the 25th November (Independence Day of Bosnia and Herezgeovina), an unknown group caught and killed dozens of stray dogs in the municipality of Bosanska Krupa. According to the initial information from the field, killers are members of a hunting organisation and this illegal and criminal act has been financed by the authorities of the municipality Bosanska Krupa. 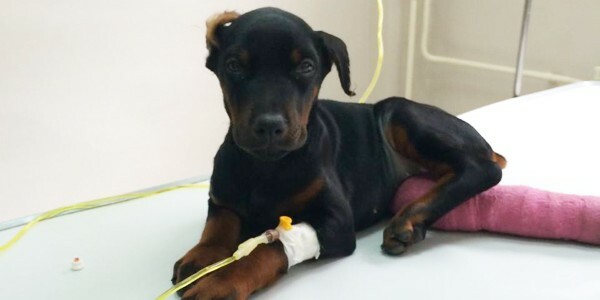 Citizens of Bosanska Krupa were shocked by the incidents in their town, especially after a badly injured dog, which had somehow managed to escape killers, was found in the centre of the town. The dog has a very critical fracture of the jaw and many injuries on his body. The fracture is serious because the jaw is completely separated from the rest of the skull, but the veterinarian has decided to try to save this horrifically injured dog. External fixators were applied in order to stabilize bone and soft tissues at a distance from the operative or injury focus. Also, more dog corpses were found in the town. A criminal report will be filed with the Prosecutor’s Office of Una – Sana Canton against all persons who are suspected to be part of the organisation that financed and committed these criminal offences. 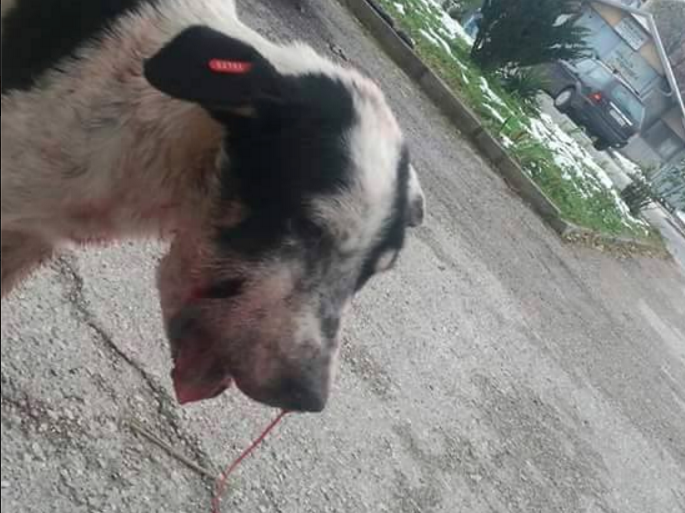 As is obvious from this cruel case, groups of hunters still operate in many areas of Bosnia and Herzegovina with the goal of killing stray dogs and being paid for their notorious and illegal actions. Some of the best paid work for hunters is the killing of stray dogs, which often takes place in small and not so very well known parts of Bosnia. The Bosnian War was an international armed conflict that took place in Bosnia and Herzegovina between 1992 and 1995. Casualties of the war were not only people. Animals also were casualties and suffered during the war. Bosnia and Herzegovina did not have the Animal Protection and Welfare Act until 2009. 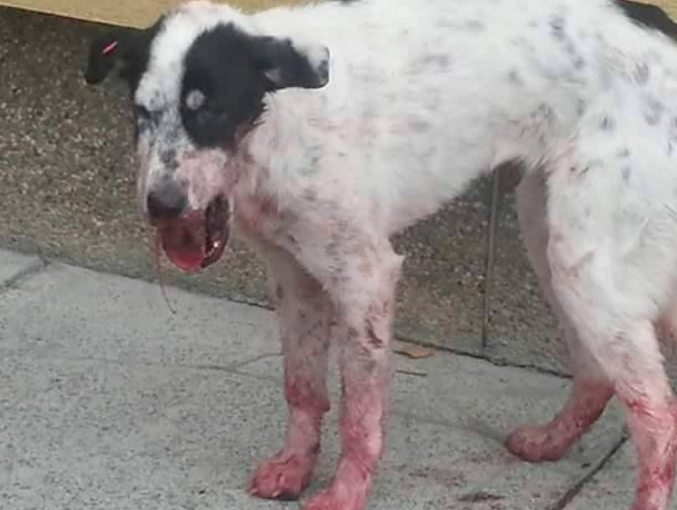 This law was legislated and entered into force by Parliamentary Assembly in 2009 and now torturing and killing animals is a criminal offence in Bosnia and Herzegovina. Stray dogs have always been killed in Bosnia. Before the legislation of the Act for the Protection and Welfare of Animals in 2009, organised groups of hunters killed stray dogs in all cities, even in the middle of day. It was still illegal, but no one wanted to investigate and punish the hunters because they received a lot of money from Bosnian municipalities for their ‘work’. The Bosnian Act for the Protection and Welfare of Animals is one of the best in Europe but no one is interested in this fact. Since corrupt Bosnian authorities have decided to steal public money, some citizens have decided to implement the animal protection legislation on their own. As with many countries in the world, there are many people who love and save animals, but one thing is different in Bosnia: not only do rescuers save animals, they are doing the job that the Bosnian authorities should be doing. The authorities are obliged to establish legal shelters and hygienic services for stray dogs, but since they have not done this, rescuers are doing these things, actually they are doing whatever is legislated by the law, but on their own. People started saving animals long before the Act for the Protection and Welfare of Animals was legislated. People saved stray animals from hunters and dog catchers. After the Act for the Protection and Welfare of Animals was legislated, everyone thought things would be different. Of course no one expected a miracle but people thought we all would have an opportunity to see animals saved in accordance with law. Unfortunately, just like everywhere else in Bosnia, authorities started stealing money designated for stray animals, and the number of stray animals has been increasing. NGOs, rescuers, activists and ordinary people have had to find a way to save as many animals as possible. Because of this awful and paradoxical situation, many private shelters called “pensions” have been built in Bosnia. Rescuers are forced, at great financial cost, to take their rescues to these pensions since they cannot keep a lot of dogs at their home, and many rescuers have also turned their homes into shelters. Also, rescuers are having to catch wounded or abused dogs and take them to the vet on their own; they have to pay veterinary costs and costs of pensions in order to save the lives of stray animals. This is the only way to save stray dogs and cats in this country, and yet all these things are actually the obligation of the Bosnian authorities, but not only do rescuers do the authorities’ job, many of them are actually attacked by the Bosnian authorities because every time a rescuer saves the life of a stray animal, the rescuer is actually preventing the authorities from catching and killing that animal, and preventing them from pocketing money for these illegal actions. Corrupt authorities are often involved in the illegal killing of stray and wild animals due to basic money laundering. Politically eligible persons construct so-called public shelters for stray animals and then they invoice the government for false spay/neuter programs, as well as for the food that will in fact never be given to the animals, and for veterinary examinations and treatment, and at the end, the means for euthanasia. Animals are tortured and killed in those shelters constantly and money is taken from the budget. 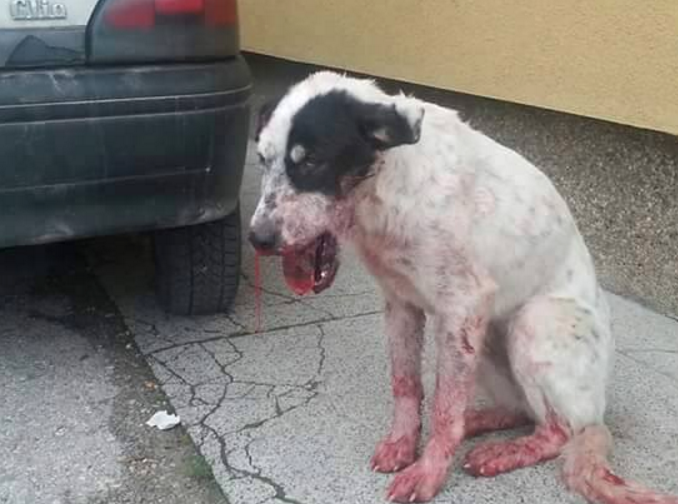 This situation is actually very bad, because the only way to protect animals in Bosnia is to force the Bosnian authorities to implement the existing laws. Rescuers and NGOs should be a part of this process, helping the authorities implement the laws. International support and pressure is the only way to force our authorities to stop killing stray animals and stealing money, as well as to force them to implement all the measures that are provided by the law. There are so many projects and ideas that could be done in accordance to the law in order to control population of the stray animals in humane and effective ways. In this way all animals could be saved. Those projects could be focussed on both the short and the long term. The imperative is to stop killing the animals, enable rescuers to have access to all public shelters and dog catching services, which in fact the legal obligation of the authorities, but also in this way rescuers can help maintain the shelters and help the animals. Authorities must take up their responsibility for solving this problem. Unfortunately, the silence of many international subjects is something that we all should worry about. Only public and international pressure can force authorities to start doing their job. People who wish to help Bosnian stray animals should inform their embassies, animal protection and welfare organisations and media and tell them that things in Bosnia are no different than in Romania, that people who save animals cannot save them all, not even close, and that many more lives can be saved if our authorities are forced to implement their own laws.